The Cocoa way to rock. 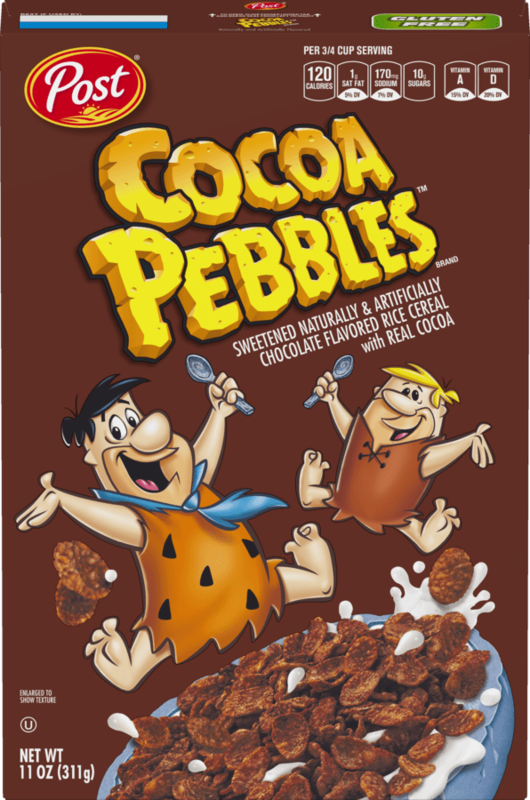 Cocoa Pebbles™ is a sweetened crispy rice cereal for anyone who wants to start their day in a chocolatey way. And has been making mornings rock for over 40 years! Gluten-free! THE FLINTSTONES and all related characters and elements © & ™ Hanna-Barbera.(s17). Yabba Dabba Doo! ™ All bag and box sizes of Fruity PEBBLES™ are gluten free. Single serving cup sizes are packaged on production lines that are not verified to be gluten free.